At its 126th session, the Human Rights Committee will review the State reports of Mauritania, Netherlands, Paraguay and Tajikistan. The Committee will also evaluate Equatorial Guinea and Nigeria in absence of State report. The List of Issues Prior to Reporting of Chile, Cyprus and Republic of Korea and the List of issues on Portugal and Uzbekistan will be adopted. 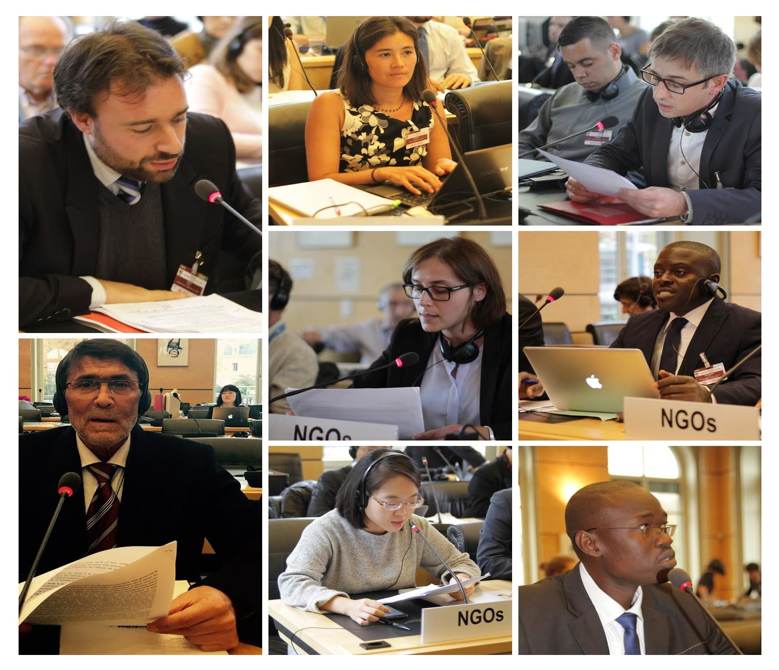 The 126th session of the Human Rights Committee will take place in Geneva, Palais Wilson, from 1 to 26 July 2019. The Human Rights Committee welcomes written information, which should be as specific, reliable and objective as possible, from international, regional, national and local organizations. The information/report must identify the submitting NGO, as anonymous information is not accepted, and be drafted in non-abusive language. The information must be relevant to the Committee’s mandate and the examination of the State party's report. The information should not contain names of victims except if related to public cases or if the consent of the victims or their families is obtained. NGOs who have submitted a written report to the Human Rights Committee have the opportunity to speak at the formal briefing. Only one NGO representative per report submitted is allowed to take the floor at this briefing. The NGO formal briefings will take place at the Conference Room of Palais Wilson. The schedule will be available soon at this webpage. NGO informal briefings for each State under review at this session will be organised by the CCPR-Centre in agreement with the Human Rights Committee's Secretariat. The NGO informal briefings follow the format of Q&A: Committee members will ask questions to participating NGOs. The NGO informal briefings will take place at Palais Wilson at Room RS-181. The schedule will be available soon at this webpage. Register here to participate at the NGO briefings. The Centre for Civil and Political Rights has released these Guidelines on the Reporting Process to the UN Human Rights Committee in English, French, Spanish, Arabic and Russian. These Guidelines give an overview of the reporting process and the role of the NGOs in this process. Representatives of non-governmental organisations wishing to attend the 126 Human Rights Committee's session MUST register online for obtaining a ground pass to have access to the session.